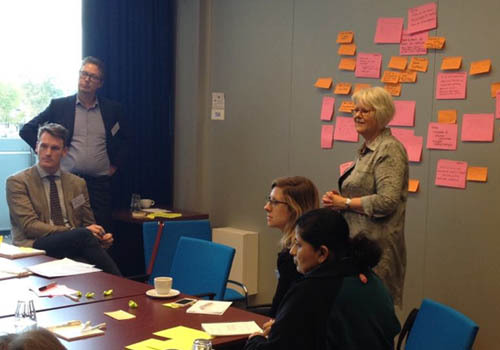 The Access to Seeds Index participated in an international multi-stakeholder consultation meeting on crop and livestock ‘seed’ systems in the Hague on 12 October 2017, organized by the Food & Business Knowledge Platform. Together with the CGIAR, the Dutch research organization for the tropics (NWO-WOTRO) will set out a call for proposals for research on how to strengthen and improve the value chains of seed and animal seed stock targeting smallholder farmers. The consultation stressed the importance of smallholder needs, including seed that is available, accessible, affordable, suitable, and of the right quality: all derived from stable seed delivery systems and as emphasized in the Access to Seeds Index guiding principles. Although there are important differences between seed systems for crops targeting smallholder farmers and those used for feed in livestock and fish production, the meeting highlighted that overlap was greater than expected. The research projects are expected to start in 2018, and will require participation from both research institutions and the private sector. More information about the content of this call can be found through F&BKP.